I wasn’t able to visit the private location before the wedding but I saw the gorgeous house and acreage on Jennie’s smartphone. Perfect, I thought! Then it was changed to another spot on the property because of all the snow we had (surprise, surprise). Family and friends spent hours bundled up, snow shoes strapped to their feet tramping down the massive accumulation of snow in the lower field (I’m sure there were some hot toddy breaks in there, as well). The day of the wedding was splendid. It really was! The sun came out. I didn’t have to wear gloves, I walked around with my jacket undone. It felt like…like Spring! 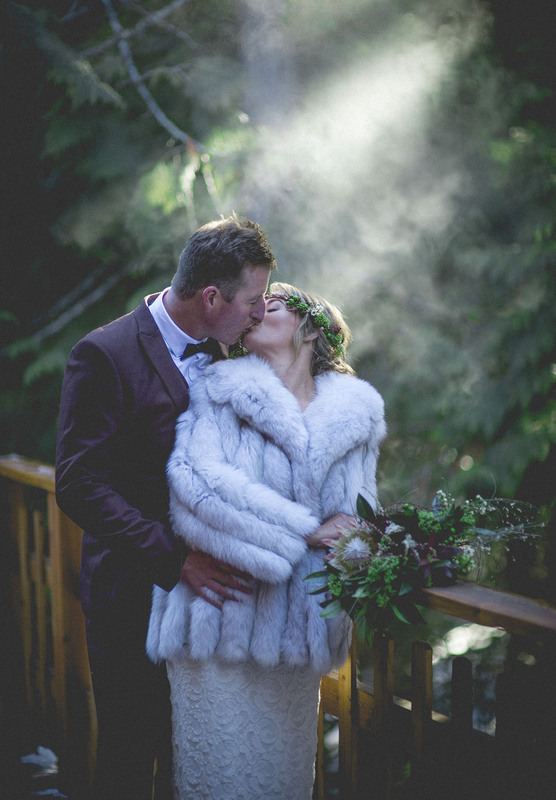 (insert birds chirping and angels singing) The sun streaming through the snowy trees, sparkling snow, brilliant smiles from the bride and groom. All the stars aligned for this day to happen. Even Nathan’s 90ish year old grandma made the flight over to see her grandson get married. How special is that? But you would think nothing of it if you met this spitfire of a lady. I hope I’m as feisty and lively (plus half the dancer) as she is, if I’m blessed to live into my 90s. Well thanks for reading this blog. I see you haven’t drifted off yet so that’s a good sign. If you’d like to chat about a special event or occasion you’d like me to capture, drop me a line!